Last weekend, the eventing community experienced the tragedy of losing 2 horses who were competing at The Fork horse trials. One died following stadium jumping, the other following cross country. Tragedy of this nature stirs up lots of conversation, especially regarding safety. I am selective with the type of media I engage with on topics like this, but one particularly good post is Me Asking Why by Lauren of She Moved to Texas. Its honest and the comments are (mostly) respectful and thought-provoking. And while it touches on numerous points, I came away from the article asking myself: why do I choose to do eventing (versus another discipline) given the inherent safety concerns with cross-country? Firstly, I acknowledge that I have the distinct impression that there is increased danger at the higher levels of eventing. I do not know if that is statistically true, but it’s the overall impression I’ve gotten since I joined the eventing community 5 years ago. And its a large part of why I do not have the ambition to compete at the higher levels. By extension, I feel that the lower levels have a much lower degree of risk, and I take measures to be as safe as possible. I’m fine with BN for now and see myself going Novice one day, maybe Training (maybe not). Furthermore, while solid fences seem inherently more dangerous, in some respects they are safer. On the one hand, they don’t fall down if you crash into them. On the other hand, they’re designed to support the weight of a horse, so they don’t break or collapse when a horse jumps ON a fence (banks it) rather than OVER it. Horses can get themselves out of trouble with solid fences in ways they cant with stadium jumps. Additionally, it has been argued that horses can better read solid jumps than they do stadium jumps, in the way that horses are generally better over quarter-rounds than they are with oxers. The shapes lend themselves to the task from the horse’s perspective. 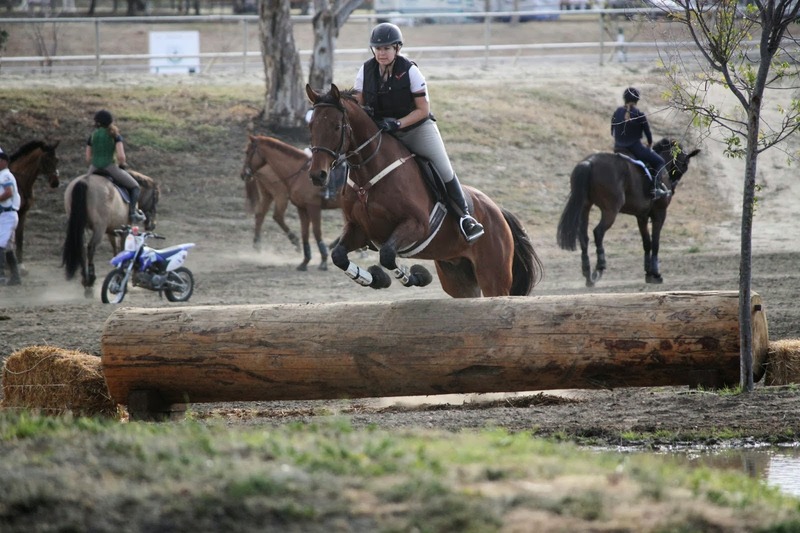 Especially at the lower levels, lots of XC jumps are logs or have roll-tops, and are designed to be very inviting to horses. In fact, my horse does better with XC fences than with stadium fences. He reads them easier. Or he likes them. Whatever the case, he’s a better, safer horse out in XC than he is in the stadium ring. Galloping in an open field is a huge draw for me. Its simply exhilarating. And eventing is the only sport that includes it (with the exception of hunter paces, which I’d love to try sometime, but also includes solid jumps). Would I get enjoyment if we galloped along and then came to a stadium jump out in the field? Yes. And in fact most schooling derbies have just that. Its just not part of registered events. Besides the wind-in-the-hair component, another reason I do this sport is that I understand the rules better in Eventing than any other sport that involves jumping, namely hunter/jumpers. Understanding the rules and the scoring makes me feel more empowered with personal improvement, so I get more satisfaction from eventing competitions than I have from hunter/jumper competitions. So that, in a nutshell, is why I chose to event even in the face of tragedies at the higher levels of the sport. Thanks to Lauren for the thoughtful post, and for inspiring me to take a good honest look at why I choose this sport. Love this post. Lauren's post also got me thinking about my future in the sport. I do aspire to compete at the higher levels and will do everything in my power to make sure I get there. I do often question how I would respond if Fiction dropped dead after a competition. Ultimately I believe I would deal with it and move on. It would be hard, but it would not stop me from continuing to follow my heart over those fences. I love your “why” reasons. Some of them I'm very jealous of – mostly galloping in an open field! That's really something I wish I could do more of. The hunter derbies have tried to get that spirit, but definitely not the same. Great post! From reading your posts, I think you are one of the absolute most-informed eventers in my blogosphere. As far as the solid fences goes, in my one-and-only XC schooling on Sunday, I actually saw that come into play. A young rider didn't give enough go to a fence, but the horse attempted. We all cringed as he slid down the back side of the fence (no idea what it was called.. like a tall, skinny rolltop? ), but landed relatively unharmed. Had it collapsed beneath him, we don't know that he would have still landed on his feet. But I'd never really given any thought to the solid-ness being an asset prior to this schooling. Hear hear! I couldn't say it better myself. I'm with you on every single point. I love this post. Very well-written. Love this post, I'm also with you on all of them! And I have to agree, my horse feels happier, safer and more confident on cross country, than in show jumping (stadium?). I think cross country, whilst involving some technicality, is more to test a horse's bravery than stadium which tests athleticism and strength. What I'm meaning is that the jumps feel *easier* for the horse to jump, they just involve a lot of different elements (water, brush, drops etc). I agree that horses probably have a lot easier time reading xc fences, they are often rounder, and more organic shapes, not just poles. I think at lower levels, there probably really isn't much difference in safety levels. A well thought out rationale, Sarah. I used to get the why question a lot when I rode endurance. That's a spot that also draws a lot of criticism. To each his own, I say. Every sport has well trained horses and riders as well as the unprepared ones. Just last week, Jimmie Johnson's brother in law was killed while skydiving. JJ is a very successful NASCAR driver, and his brother in law had completed more than 1000 dives. Sometimes accidents just happen. Thank you. Its nice her post inspired you too. Thank you, and thanks for inspiring it! You can always go to an eventing facility for a schooling and just canter around without jumping any of the solid jumps if you don't want to. What a nice compliment – thank you very, very much! Yeah, I've seen horses balance a foot down on top of a solid fence while jumping. They know they're solid and they use it if they need it. 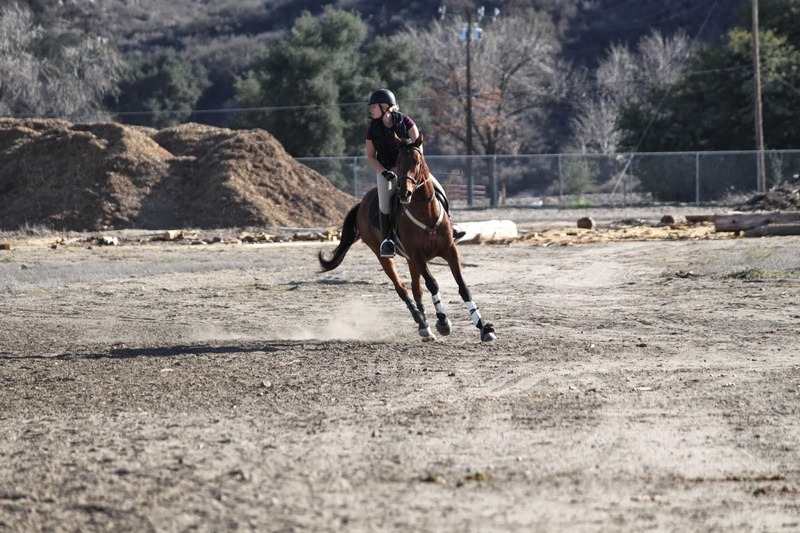 Thank you, and it is a wonderful thing to realize your horse enjoys XC. My last mount didn't, and it sure makes all the difference! Thank you, and I agree completely. There's freak accidents, as well as man-made accidents, in every discipline and sport. And if horses don't like jumping solid fences, they certainly wont stay in eventing for long!